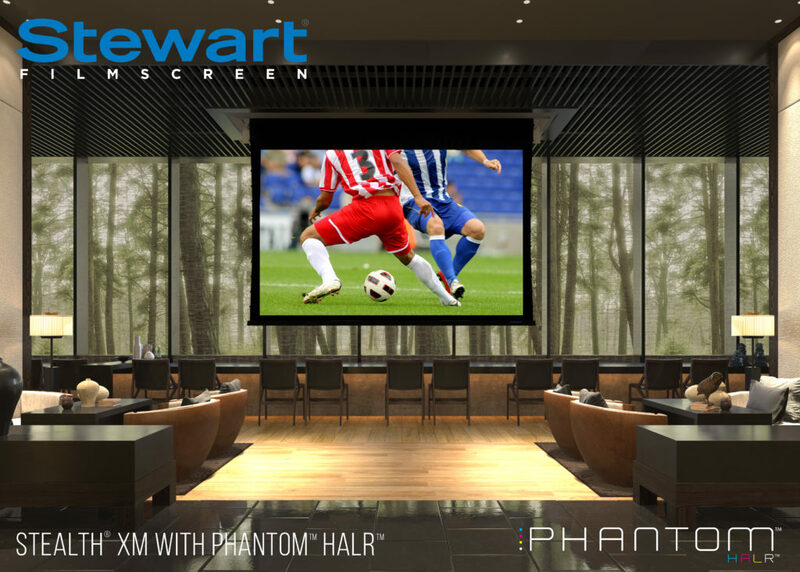 Stewart Filmscreen’s New Lineup Offers Greater Versatility, Innovation, and Opportunity | KMB Communications, Inc.
ISE 2018 marks the international debut of Stewart’s sophisticated Balόn™ Borderless, a new fixed-frame projection screen system that provides a contemporary “floating image” appearance. Balón Borderless now also includes a LED Light Kit that provides integrators the option of attaching LED lights to the metal extrusion for backlighting and enhanced room ambiance. A unique beveled frame structure allows the screen material to seamlessly wrap around the frame and snap smoothly into place. Balόn Borderless utilizes Stewart Filmscreen’s EZ-Mount Bracket System to streamline installation and ensure a consistently level image. Flexible mounting options include both, EZ Mount and Telescoping Wall Mounts, adding to Balón’s unique versatility. At only 0.97-inch (25 mm) thick, or 1.10 inches (28 mm) thick -if back bracing is required – and with a completely smooth side profile (no puckering or scalloping) the borderless design focuses the audience’s attention on the high fidelity image presented on the screen’s surface for a more immersive entertainment experience. 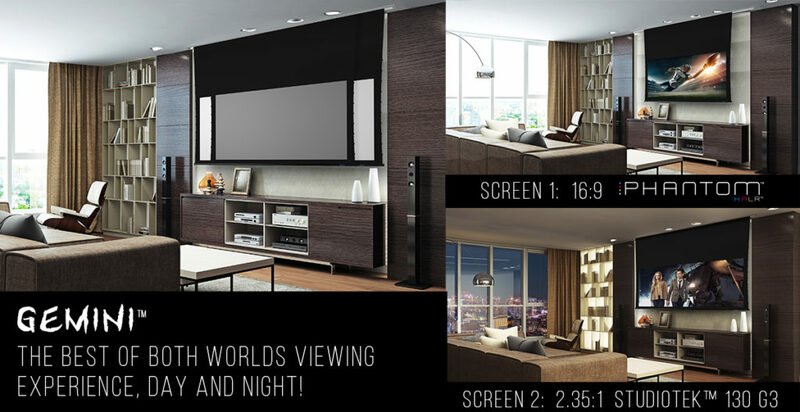 Available with most of Stewart Filmscreen’s application driven materials, including proprietary acoustically transparent options, Balόn Borderless helps integrators and consultants tailor their customer’s projection screen experience to best suit the needs of the user, application, and environment.